What Is Ancestry DNA and How Can It Help You? Ancestry has become the number one genealogy search website for family historians to discover their genealogy. You may have heard of Ancestry DNA but what does that offer and how can it help you? Well, in this guide I want to show you the benefits of this test and how it can help your genealogy research. If you are then please read on and I will explain it all to you. What Testing Does Ancestry Offer? What Are The Main Benefits of DNA Testing? What Is Behind This Testing? What’s The Difference With AncestryDNA? Where Can I Get The DNA Test From? How To See Your Results? Before continuing with this post I would that you would like to check out a short article from Ancestry. The article will show you 5 Things You Need To Know About Taking an AncestryDNA Test. The AncestryDNA test will look at the 22 pairs of autosomes that you inherit from your parents. Any variances in your DNA are called genetic markers. These differences in DNA are obviously what makes you different to me. From your hair to your eye color. The following short video will introduce you to AncestryDNA, how it all works and what it can do for your genealogy research. The ethnicity of your ancestors! Ancestry will test over 700,000 markers to help find you common ancestors and also distant cousins. Your ethnicity will be traced back to between 4 and 5 generations! With the help of this test you will discover your genetic ethnicity, i.e. where in the world you originated. You may have European ancestors or maybe East Asian heritage. This type of test will be able to pick up on that and so help you zone in on your research. In November 2016 the number of regions increased from 26 to an incredible 150+ regions. This means that your DNA could show your ancestry from many different parts of the world. Correlating with a database of DNA results you will be matched with other Ancestry members. And so through this type of testing you can find new family connections. To order the DNA test kit and to make contact with other Ancestry members you will need to sign up to Ancestry.com . To be able to access your results you will need to continue your subscription with Ancestry. 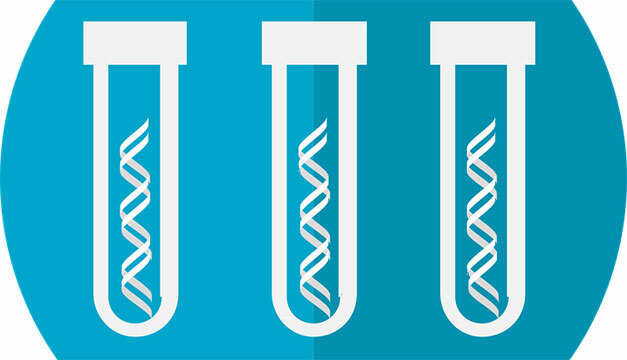 What Are The Main Benefits of DNA Testing! The results as I have just mentioned can help you further with your family history research. During your fact-finding you may have hit a brick wall. You may have asked yourself which way do I go next and how can I find out further information? It can be very heartbreaking when you have come so far with your research only to be stopped short in your tracks. Well through DNA testing you can see where in the world you can look next for more information, your ethnicity background. The results can show you the migration of your ancestors. Also, if by doing the DNA testing you come across distant cousins then you can interact with them and so gather more research. You can exchange information with your cousins which will obviously be a great help with your family history. You can share with your new found relatives family stories, photos, and any other information that you have with them. They can also return the favor and help you build up your family tree. Genealogy is a hobby where we all help one another. DNA testing is no different in this regard. We can learn so much from the results that we get back from them. When you order your AncestryDNA kit you will provide a saliva sample which you will have to send back to Ancestry. Be prepared though with this type of testing as results can take anywhere up to 8 weeks to be sent to you. With this in mind I would suggest you to research another branch of your family while you wait for your results. At least you will be able to carry on with your family history research in the meantime. An astonishing 700,000 markers are checked! The testing is quite impressive as from the sample that you provide your entire genome will be surveyed. That means that over 700,000 of your markers are checked from just a small sample. When you do receive your results you can use the state-of-the-art tools on the online interface to discover what your DNA results are and what they mean. The atDNA testing will give information that is more relevant and recent. It will look at your ancestry dating back a few hundred years. AncestryDNA testing claims to get results back from a thousand years ago. I do though wonder how useful that claim would be for you as there is high possibility that no family records will exist today. On the whole though atDNA does seem to be more practical for the genealogy research compared to Y-chromosome or Mitochondrial DNA tests. These tests can give you results dating from between 10,000 to 50,000 years. How useful though is that with your family history research? You maybe wondering who this type of testing is for or rather can I take the test? Well, to settle the question both men and women can take the autosomal DNA test. Men and women are tested in the same way for same number of markers. Some restrictions with DNA testing! The Y-chromosome testing that is offered by other DNA companies is only suitable for males. The reason for this is because this testing looks at your direct paternal lineage. The mitochondrial however is suitable for men and women. However, this type of testing will look at your direct maternal lineage. There are a number of differences between the testing that AncestryDNA offers and other DNA testing companies. All of the below differences that I will mention will help you make the decision as to whether AncestryDNA is right for you. Looks at both paternal and maternal lines of your family tree testing over 700,000 markers. Y-DNA and mtDNA will look at only part of your family tree. Both men and women can take this test. Will help you to discover where in the world you originated from dating back hundreds of years. This is rather than thousands of years which won’t be much use to researching your genealogy. Helps match you distant cousins who are also registered with Ancestry. Targets your family history to a few hundred years to maybe even a thousand years. Once you have ordered the AncestryDNA test it will be delivered to you within 6 days of your order. However, as comprehensive testing is performed on the sample that you provide you can expect your results to take between 6-8 weeks. If you have not received your results by then then I suggest you contact Ancestry. The DNA test is available to residents of the United States. If you do live overseas then you may be able to purchase the test depending on where you live. At the moment the test is available to be purchased from the United Kingdom, Ireland, Australia, New Zealand and Canada. AncestryDNA do hope to make this test available to other countries. But as yet no dates are set for this. You will be notified by email that your results are ready and that you can view them. To access them you will need to go online to your AncestryDNA account and enter your password. So, your results will only be accessible to you. No one else will be able to see your results. The results of your test will be displayed as pie charts and graphs. You can also visually see the migration and where your ancestors originated from by maps. DNA genealogy testing has become the latest tool in the arsenal of the family historian. It can help you in a number of ways with your research. The two key benefits are that this testing will help you to discover where to look, and also help you make connections with distant cousins. If you have ever wondered about the ethnicity of your family then this type of testing is for you. It can show you where in Europe your ancestors originated. Or, maybe East Asia for that matter. Number of regions increasing all the time! Please bare in mind though that not all regions of the world are covered so far. So, the results may be a bit too broad for you if you have Asian heritage. Ancestry though is widening the information that they contain, therefore in time the results gained from this testing will be more practical to you. The second advantage of this, (as pointed out earlier), will be a great help to you. We can learn so much about our ancestors from our relatives. You can learn from them not only names, dates, what they did for a living but also family stories as well. Connecting with distant cousins through DNA testing is no different. They can share with you information about their side of the family, and vice versa. The factor though here with this point is whether these family members are connected with Ancestry. As Ancestry is the number one genealogy search website then there is a chance that you will make contact with a ‘new’ family member. DNA testing more affordable now than ever! The price for AncestryDNA test has come down significantly in recent years, making it more affordable for the family historian. Usually selling for less than $100 it is a small investment in the pursuit of discovering your family history. If you have hit a brick wall would you rather just admit defeat and not got on with your research? What a waste of time and effort that was to go so far for little return. Or, would you want to find out what all this AncestryDNA business is about and try to add to your family tree? If you decide to buy this DNA testing kit then please come back and let me know what you think of it. I would love to hear how it is working for you. Most Popular DNA Testing Kit Today! Discover the places that led to you! I hope you enjoyed this post discussing what is Ancestry DNA and how it can help you. If you have any questions or comments then please leave a comment below. What To Do With Your DNA Testing Result? 10 Reasons Why You Should Buy An Ancestry DNA Testing Kit! 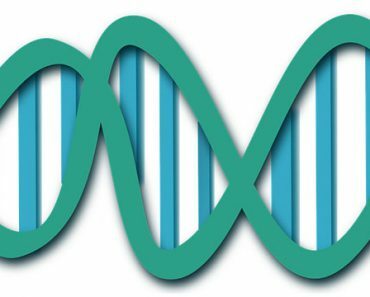 How To Protect Your Ancestry DNA Privacy? It’s amazing that DNA has only been available in recent years but what a technological breakthrough it is proving to be. To be able to use it to trace your family tree is a great benefit. You have provided some incredible information here and it’s very good to know. However, something is bugging me and I hope you can help with this. I understand that they will be able to analyze my DNA but how will they know the DNA makeup of my ancestors? This technology wasn’t around in the old days. Am I missing something? DNA testing has come along way and also it has become very affordable for the everyday person. Just less than $100. It has become a very powerful tool for the genealogist. You ask a very good question Craig. Ancestry won’t know the actual DNA makeup of your ancestors. But you can find your ancestors by other Ancestry members who have taken the test. Also, there are genetic profiles for 26 regions from around the world. These profiles are built up from people who are known to have deep-rooted ancestor for a particular area. Using this information then Ancestry can give a probability of where your ancestors originated. It is really good that they can trace ethnicity at least 4 generations. And I can see the results within two months. Lately I have not found much about my ancestry research and I am frustrated about it. This can help me for moving forward. Also it can be nice to know some distant cousins. Sorry to hear that you are frustrated with the lack of progress. DNA testing can certainly move you in the right direction. So it will help give you answers, as well as hopefully connect you with distant cousins that can also help you. My first cousin just had this done and we learned that her side of the family has DNA that is European Jewish. Well, we aren’t sure which side it is really coming from. But it was pretty high. No idea how DNA test can show religious background. I am curious to take the test and see if I have that too! Thank you for commenting. That’s pretty interesting what the test brought up. I wonder what the results would be for you. As Ancestry DNA looks at regions they must have seen that your cousin’s ancestors come from a predominantly Jewish background. Whether the same could be the same for you remains to be seen. Well worth doing the test and finding out. Wow. The they test over 700,000 markers? It is truly astonishing, the science that is now available to us and how it is being applied. I admit I never thought about DNA for such a purpose, but of course it makes complete sense. Owain, I have to say, I honestly never considered genealogy much before, but having followed along with your posts and your progress, I become more captivated by the possibilities by the moment. With this post, I envision myself traveling the world and being introduced to distant family from, I hope, other lands and different cultures. What an amazing thing that would be!!! It is impressive just how far DNA testing has come, and yes it does test over 700,000 markers. As more people join Ancestry, the more regions are covered and technology improves then we will get better results from this type of testing. This testing can show you where your family originated from. It would be pretty impressive and interesting to find out new places where your ancestors came from that you didn’t even know. I suppose in that respect it can open up a can of worms. But isn’t that what genealogy is all about? As we trace our family history we come across more questions and so we dig even deeper. DNA testing just pushes more into the unknown. Wow! Never in a million years did I anticipate that DNA would be used in tracing ancestry for individuals, yet it’s a natural step. This is really cool. I think it would be really fascinating to be able to study a family’s genetic heritage back thousands of years. Hopefully this will really help people who have been separated from their biological families to trace their roots. I feel that as more people join Ancestry DNA and they cover more regions then it will become an ever more powerful tool for genealogists. It could connect people to their biological familie, but it does depend on whether they have joined Ancestry in the first place. But as Ancestry is the number one genealogy site there is a chance that we can make connections with living family members. This is awesome! The technologies today are so advanced that I can get my results in just 8 weeks! Can this kind of test tell me who I am related to or only my origins in the world? It does just how far we have come with DNA testing. It can tell you who you are related to. But this is only if the other person has done the test and is subscribed to Ancestry. If you do find a match then you can make contact through the website.